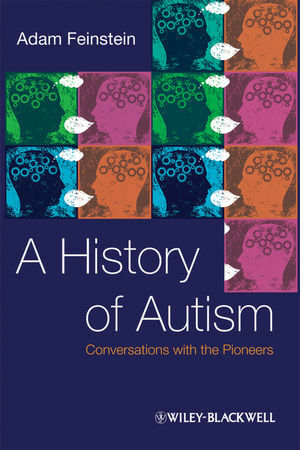 This unique book is the first to fully explore the history of autism - from the first descriptions of autistic-type behaviour to the present day. Adam Feinstein is the editor of two autism-related websites, AutismConnect (www.autismconnect.org.uk) and Awares (www.awares.org), both run by Autism Cymru, Waless national charity for autism. He also runs the acclaimed annual Awares international online autism conference. He writes extensively on autism for a range of publications, including The Guardian, broadcasts for the BBC, and gives talks at conferences around the world. He is the founder and editor of Looking Up, the monthly international autism newsletter (www.lookingupautism.org), and has contributed to the UK Medical Research Councils Autism Review. His much praised biography of the Chilean poet, Pablo Neruda: A Passion for Life, was published in 2004. He has a son with autism.